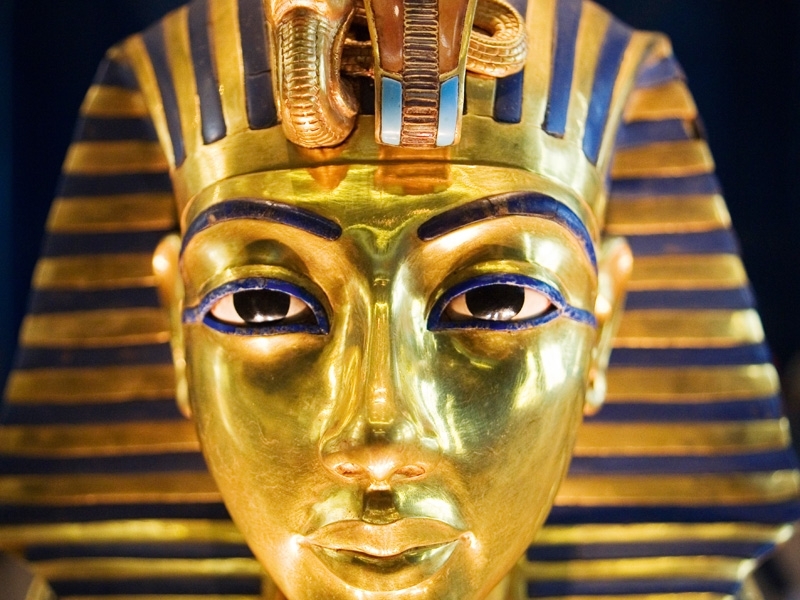 Where is King Tut now?! When Howard Carter discovered the tomb of Tutankhamon , he remarked that it was, "the day of days, the most wonderful that I have ever lived through, and certainly one whose like I can never hope to see again". However, the collection is yet to be completely documented, and it took some ten years for Howard Carter to finish excavating the tomb. 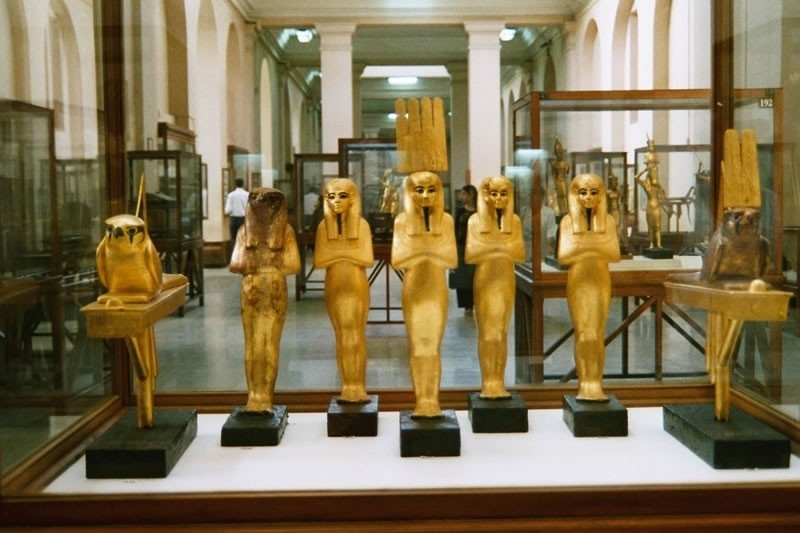 After the tomb's discovery in the Valley of the Kings on November 4th 1922 by Howard Carter, much of the contents were transferred to this great museum. 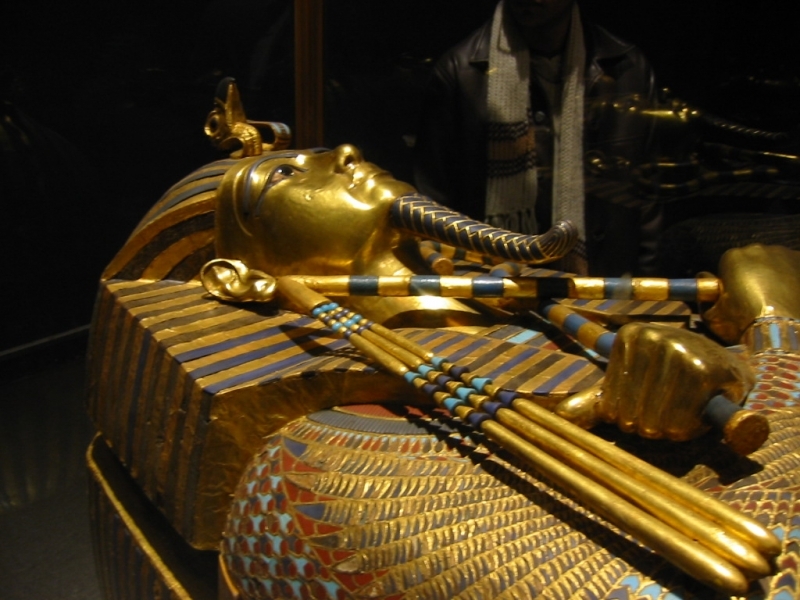 The inner coffin, of three sarcophagi, is made of 450 pounds of solid gold. It is one of the finest examples of the goldsmiths' work of all time. These are some of the only treasures from a Pharaonic tomb as all the others were taken by tomb robbers shortly after their completion. 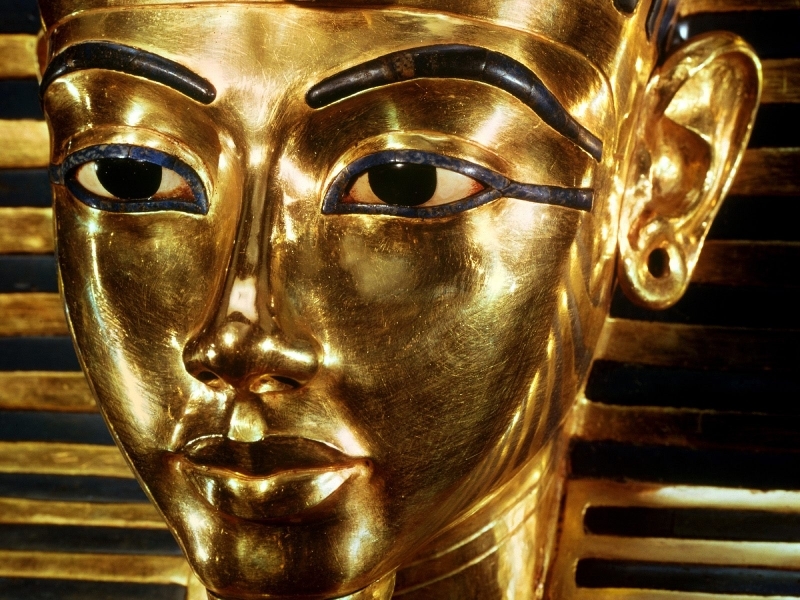 As Tutankhamun is thought to have been murdered at the age of 18, this treasure may have paled to insignificance compared to that of greater Pharaohs. The collection has traveled the world, setting attendance records most anywhere that it may be found. While its current permanent housing is in the basement of the Egyptian museum in Cairo, it will soon be moved to a new down town location. The collection contains about 1700 piece consists of : Furniture and Boxes - Basic Funeral Equipment - Jewelry and Ornamentation - Statues, Sculptures and Containers - Other Items.